The year end holidays always bring boxing to a standstill but the Superfly 2 press conference in Los Angeles on Tuesday put the wheels in motion for the 2018 boxing season. Srisaket Sor Rungvisai, (43-4-1, 39 KO’s), will be defending his title over 12-rounds for the second time against former world champion and #1 ranked mandatory challenger Juan Francisco “El Gallo” Estrada, (36-2, 25 KO’s), of Sonora, Mexico. The event will be televised live on HBO Boxing After Dark® beginning at 9:30 p.m. ET/PT. 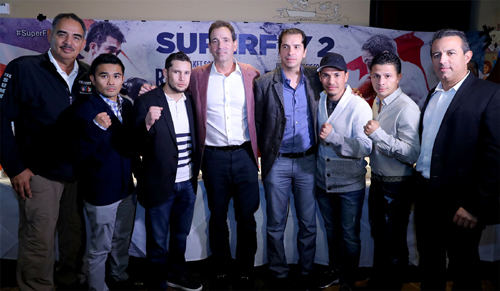 With the Lucas Matthysse vs.Tewa Kiram bout notwithstanding, Superfly 2 will be one of the first real championship fights to come down the turnpike in 2018. The rest of the early 2018 boxing landscape looks more like a who’s who of contender’s or pretenders taken on a slew of broken down war horses. These “keep ‘em active” fights are exactly what Loeffler wants promoters to stay away from. I don’t think it’s any big secret that I have been shouting from the rooftops that there is a simple solution to all that has been ailing boxing. But since no one is listening to me maybe you’d like to take the advice from someone who put together successful sold-out show after successful sold-out show in 2017. 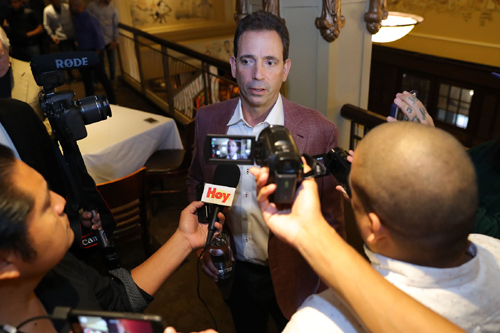 “It’s really the responsibility of the fighters and the promoters to make these types of events happen,” said Loeffler. So Mr. Fighter, the next time your promoter comes to you and offers up some has been broken down palooka for your next so called test, simply refuse it. Tell him you want to be a real champion so quit serving up the bums because no one is taking you seriously. And as for you Mr. Promoter, stop the charade, no one is buying it. If you don’t believe me go take a look at ticket sales for that atrocity you have coming up in Las Vegas next month. Boxing fans are not as stupid as you think. No one is going to shell out a dime to watch you try to rehabilitate a fighter you singlehandedly ruined yourself. With his new company 360 Promotions and a highly anticipated fight to debut his company Loeffler is looking forward to being at the center of the biggest fights of 2018. With fighters like Gennady Golovkin in his holster that success he is hoping for is right at his fingertips. For the rest of his promotional peers the message is clear…. “put up or shut up”. This entry was posted on Wednesday, January 17th, 2018 at 2:51 am	and is filed under Boxing. You can follow any responses to this entry through the RSS 2.0 feed. Both comments and pings are currently closed.